The inside/outside living really gives you the feeling of being in a tropical paradise. 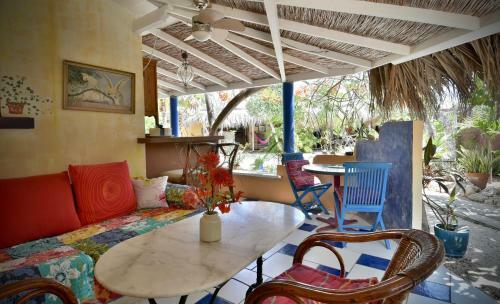 The property is very clean and decorated in an eclectic, tasteful manner, maintained by a wonderful staff. The owner Ewald was very attentive and accommodating. We plan to return soon. This is a very cosy place to stay. Your living room and kitchen are outdoors and it all works perfectly! Recommended! Locking fridge, outdoor living, proximity to the beach, welcoming beers in the fridge. Quirky kind of place we love-each unit different. Very clean units and grounds, cheerful staff. Quiet at night, comfy beds, outdoor kitchenette. Will be staying here again. Perfect location,ocean across the road, very cute,quiet place. I would absolutely stay there again. 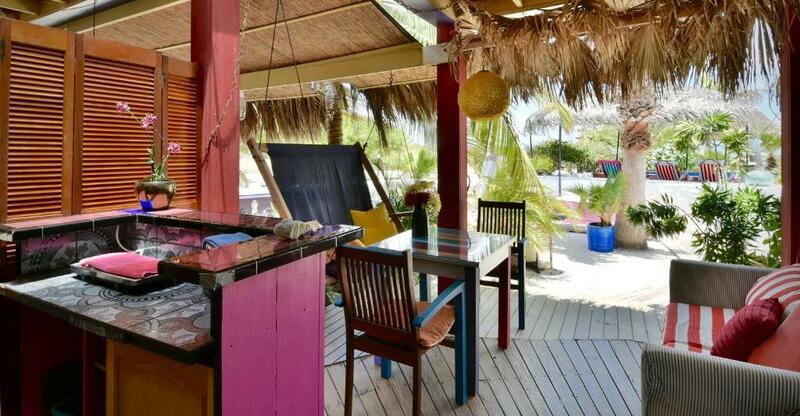 Aruba Beach House is the perfect destination for a self sufficient traveler. The location couldn't get any better, across the street from the water. You are within easy walking distance to the resorts but far away enough if you prefer a quieter Aruba experience. Staff are friendly, knowledgeable, and helpful. Some great perks you likely wont get elsewhere: complimentary snorkel gear, a designated cabana on the beach for guests only, a weekly happy hour for guests, a 15% discount card for a few select area restaurants. Highly recommend! Warm and charming place with a "chill" but friendly vibe! Host is very friendly and helpful. The location is stunning. The hosts were very kind and accommodating, right from the start. They also helped us with suggestions of things to do locally. The fact that we could use free chairs, snorkels, fins, etc. was great! Lock in a great price for Beach House Aruba Apartments – rated 8.9 by recent guests! One of our best sellers in Palm-Eagle Beach! Located just steps from the Ocean at Hadicurari Beach, this aparthotel features Apartments with ocean and garden views and a shared ocean side pool at the front yard. Beach House Aruba is just 0.9 mi from Palm Beach Center. Each air-conditioned apartment, room and suite comes with modern décor, a private terrace and a seating area. Experience outside cooking and dining on your own palm-roof terrace in a tropical setting with a fresh breeze. Guests can even enjoy their dinner at the private Palm-Roof hut right on the Beach. 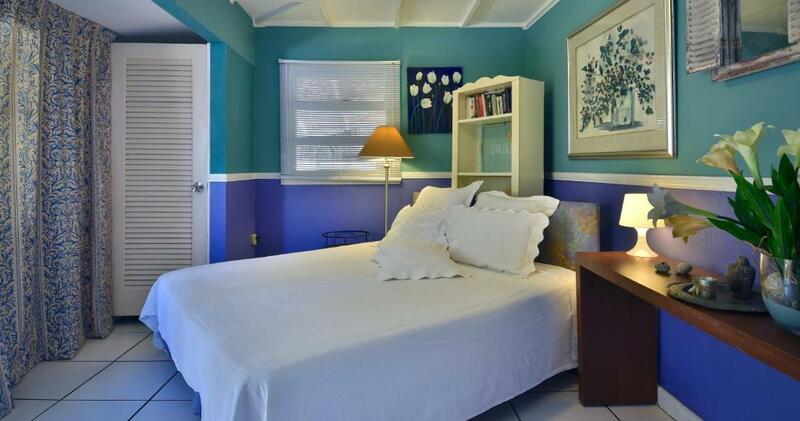 Some rooms feature excellent ocean views, and the apartments boast a fully equipped kitchen. Guests who want to cook at home will find a supermarket within 3.1 mi, while the area offers a range of beach-side dining options, many less than 0.6 mi from Beach House Aruba. There is a golf course within a 5-minute drive of the property, while Arikok National Park, which offers hiking and nature outings, is a 25-minute drive away. 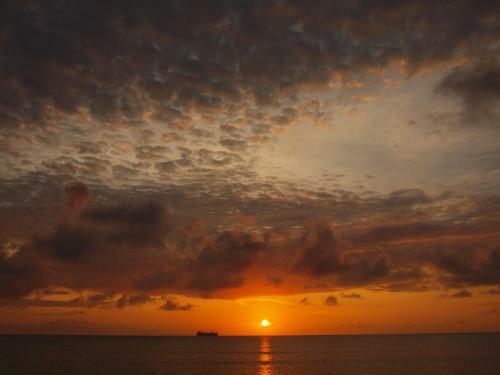 Ideally located directly in front of the calm waters of Aruba's Hadicurari Beach, within 0,3 miles from Malmok Beach and Arashi's Beach and 0,4 miles from the popular Palm Beach. Queen Beatrix International Airport can be reached within a 20-minute drive. When would you like to stay at Beach House Aruba Apartments? 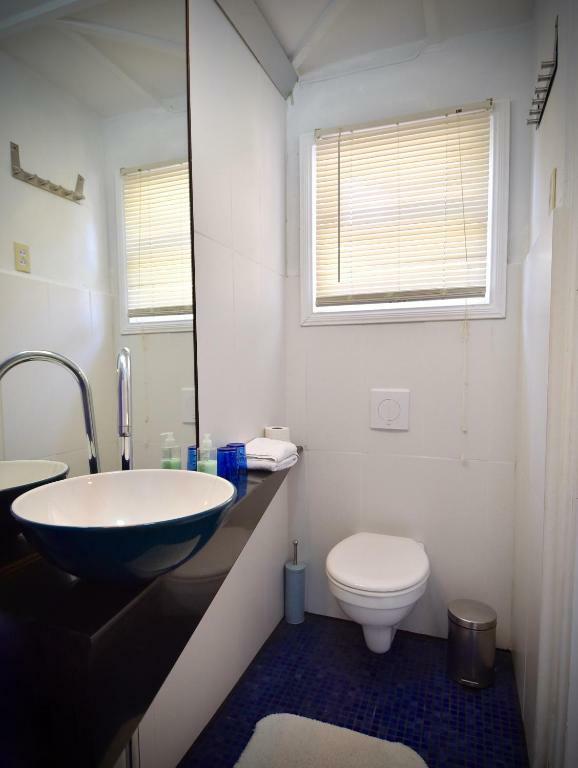 This room is totally air-conditioned and features garden views, cable TV and a safe. Guests also enjoy a comfortable sitting area, a wardrobe and a private terrace. Free Wi-Fi is available throughout. Please note that this room does not have a kitchen. This smaller apartment has a sitting and kitchen area on an open-air patio with garden views. 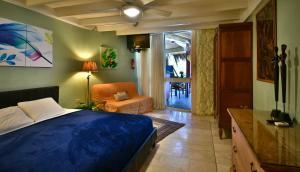 The bedrooms is air-conditioned and features a private bathroom. Guests can also find a cable TV, a safe and a wardrobe in the apartment. Free Wi-Fi is available throughout the apartment. This larger apartment has a sitting and kitchen area on an open-air patio with garden views. The bedroom is air-conditioned and features a private marble bathroom. Guests can also find a cable TV, a safe and a wardrobe in the apartment. Free Wi-Fi is available throughout the apartment. This larger apartment has a sitting and kitchen area on an open-air patio with sea views. The bedroom is air-conditioned and features a private marble bathroom. Guests can also find a cable TV, a safe and a wardrobe in the apartment. Free Wi-Fi is available throughout the apartment. This spacious suite features an open-air sitting area and a kitchen area with excellent sea views. The bedroom is air-conditioned and features a private marble bathroom. Guests can also find a cable TV, a safe and a wardrobe in the suite. Free Wi-Fi is available throughout the suite. This apartment has a seating area, sofa and dishwasher. Enjoy the unique experience of Outside dining and cooking on your own Lanai (Hawaian palm-roof terrace) in a seductive tropical setting with a constant refreshing breeze. Fronting the ocean this is the ideal location to relax while watching the beautiful sea-view in a quiet area. Beach House Aruba is only 20steps from the sandy Hadicurari Beach and 1 mile south from Coral - Coast Malmok Beach with the Underwater Paradise Arashi. 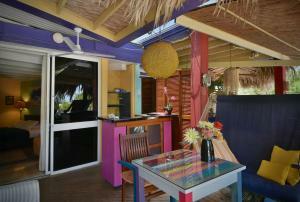 each House Aruba offers a reception service to our guests every day of the week. The owners / hosts live on the property and will assist you anytime 24/7 to make you feel at home. We work during office hours and besides that at any time needed for arriving guests or providing assistence to our guests. Beach House Aruba is located at the prestigious Malmok area, that is only 10 minutes walk from popular Palm Beach. Right in front of Beach House aruba is the beautiful ocean offering the best views. Arashi Beach and Boca Catalina under water paradises are only half a mile away. House Rules Beach House Aruba Apartments takes special requests – add in the next step! Any additional children or adults are charged USD 25 per night for extra beds. Beach House Aruba Apartments accepts these cards and reserves the right to temporarily hold an amount prior to arrival. Please inform Beach House Aruba Apartments of your expected arrival time in advance. You can use the Special Requests box when booking, or contact the property directly using the contact details in your confirmation. Bathroom was a bit cramped but otherwise fully functional and clean. The unit we rented was great, but would have been slightly better if there were an actual cookstove (ours had only a hot plate and we cooked a good bit)...most of the others had proper stoves. The free beach chairs would be better if there were actual beach chairs, not camp chairs. Ewald and Doris was fantastic hosts. Beach House Aruba Apartments has a soul, charm, and a great location. Highly recommended. The cats could be taken to a shelter. Hosts and staff were amazing! Loved the quiet, laid back atmosphere! The property is within a walking distance of a sandy beach, for more interesting beaches you need to drive further away. Very relaxed setting with wonderful view and beaches very nearby. The outdoor space was especially nice. Our appliances didn’t work properly. Our air conditioner and tv did not work. WiFi was not strong. My music get turning on & off. Nice and Cosy apartment and well Equipped. You also had the chance to do barbecue. The staff was amazing friendly, enormously helpful.